Running the Android operating system. 4 USB ports (connect your USB flash drive directly, or connect a mouse and a keyboard). 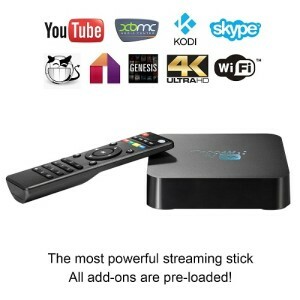 An inexpensive, powerful Android TV box. 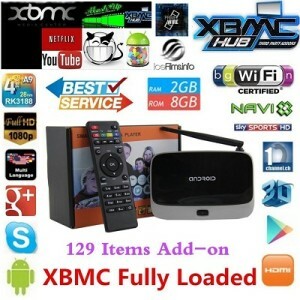 An Android TV box that comes with XBMC pre-loaded. Rii i8 – Great wireless keyboard that works perfectly with ROCAM Q. The ROCAM Q is a great Android TV box . This TV box is pretty powerful and can smoothlu play 4K videos. 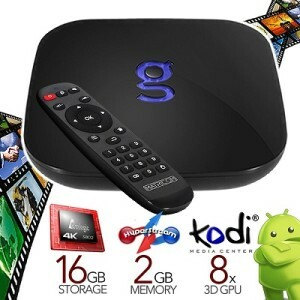 Cheaper Android TV boxes can only play 1080P because they are not powerful enough. The ROCAM Q has powerful CPU and GPU – making it the perfect device for watching movies and playing games like GTA (you can download any game or app you want from Google’s Play Market. GTA is one of those games). The ROCAM Q has all features you may want – and much more than that. It’s one of the best Android TV boxes you can buy for less than $100. On Amazon you will find many ROCAM Q reviews – it seems like most people really like this device. It’s pretty popular – actually, thousands of people are using it worldwide. Of course there are cheaper devices out there – but again, they won’t be as good or as powerful as ROCAM Q. You get what you pay for. 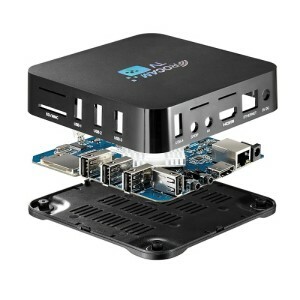 Because Andorid TV box is somthing you buy only once – i recommend investing some money and buying a good one – like ROCAM Q. 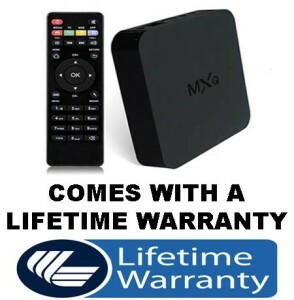 Many people are tempted and buy $40-50 TV boxes. Those Android TV boxes will work – but most of the times they won’t be powerful enough. We recommend buying the Rii i8 keyboard for your ROCAM Q . Typing will be much easier that way. Also, with this keyboard you will be able to control the playing media (stop videos for example). it’s wireless, small and very useful. This keyboard is pretty cheap so we recommending buying it. We hope you enjoyed our ROCAM Q review !